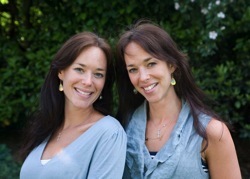 We are identical twins who have grown up in a family of antiques lovers and crafts people, surrounded by creative hands. Spending much of our youth hunting down bargains at antique fairs and car boot sales, we have developed an eye for beautiful things and a natural flair for interiors. For years we have combined this with our talent for painting and fixing furniture; thus the concept of Rabbit & Rhubarb was born. We also love the countryside and great outdoors which is reflected in our farmhouse style.